Busy attorneys and employers don’t have time to read all the workers’ compensation cases handed down by the Alabama Supreme Court and the Alabama Court of Civil Appeals. But they can get caught up on the most significant cases in this 60-minute webinar. In a case of first impression, an employee cut his leg on a job site and was involved in an automobile accident on the way to get treatment. Were the injuries suffered in the auto accident compensable? In order to stay on top of recent workers’ comp developments in Alabama, order this informative webinar on-demand. Carr Allison's Bo Kirkpatrick, who updates Alabama judges on workers’ comp at the Judicial College each year, will review this case and other significant recent workers’ comp cases and explain their impact. This is one update you don't want to miss! 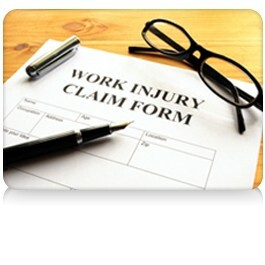 Alabama Workers’ Compensation Law Update — is just $107. Attorney Bo Kirkpatrick is a senior shareholder and a founding member of Carr Allison. Mr. Kirkpatrick graduated from the Cumberland School of Law at Samford University, where he served as Student Materials Editor for the American Journal of Trial Advocacy as well as Chief Justice of the Honor Court. He has served as the Chair of the Workers' Compensation Section of the Alabama State Bar, and currently sits as the Co-Chair of the Workers' Compensation Practice Group at Carr Allison. His practice focuses primarily on workers' compensation and related litigation, including retaliatory discharge and other employment matters. He has handled litigation statewide for Fortune 500 Companies, and has extensive trial experience across the entire state of Alabama. Use this webinar on-demand to stay on top of recent workers’ comp developments in Alabama. Carr Allison's Bo Kirkpatrick, who updates Alabama judges on workers’ comp at the Judicial College each year, will review this case and other significant recent workers’ comp cases and explain their impact. This is one update you don't want to miss!